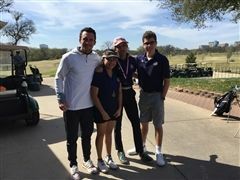 Established during the 2016-17 school year, the DIS middle school golf team has taken off. Young golfers have already started racking up top finishes at local tournaments. Plans are currently in the works to establish a high school golf team in the fall of 2017. 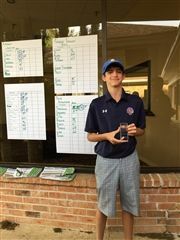 Congratulations to Andrew Petruzzelli for winning the Parish Invitational Golf Tournament this weekend! That's Andrew's second straight tournament win. Congratulations to Samantha Wong and Ellie Brown who finished first and second, respectively, at the Dallas Lutheran Invitational Golf Tournament!